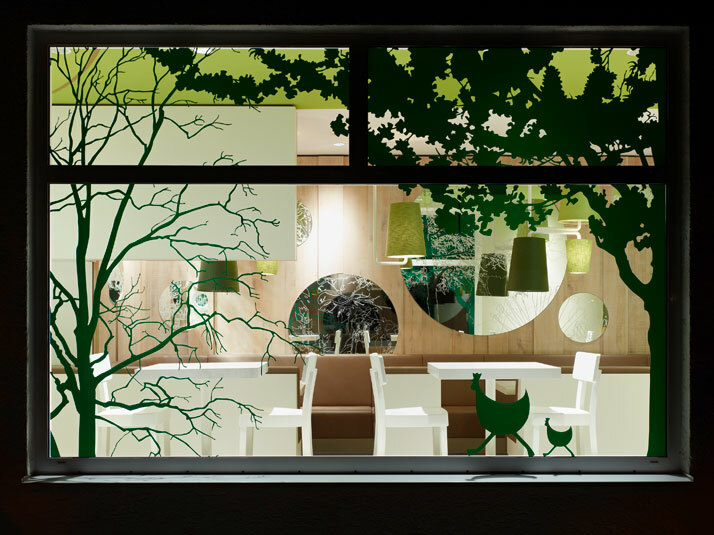 With a long history of tradition the first Wienerwald restaurant (English: Vienna Woods) opened in Munich, Germany in 1955 by Friedrich Jahn. 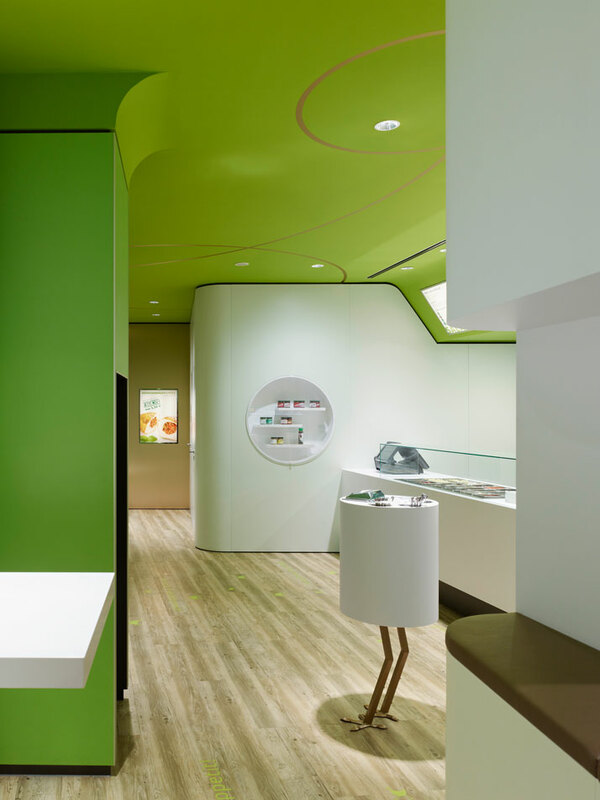 The fast growing chain grew into branches in 18 countries. After the first generation, the restaurant passed through several ownerships until the grandchildren of the founding family bought it back in 2007. 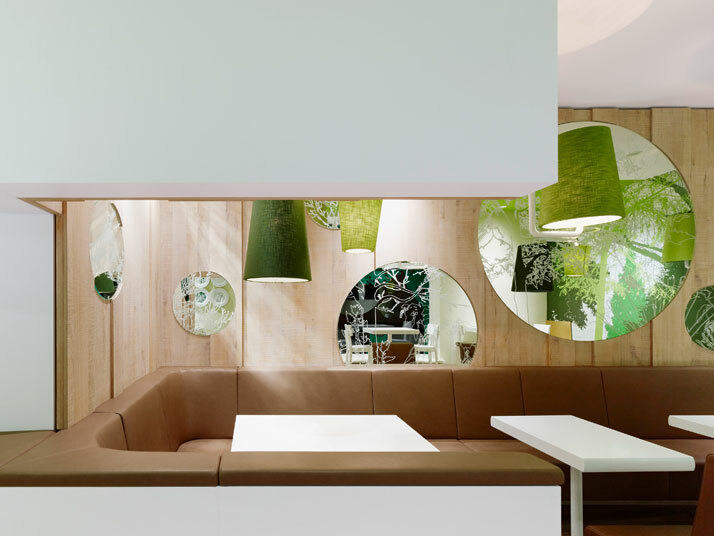 Seeking to reconnect and strengthen the tradition of the brand, the new ownership commissioned Ippolito Fleitz Group to develop the new corporate roll out for the chain and regain brand awareness in Munich. The new interior roll out is fresh, energetic and active. 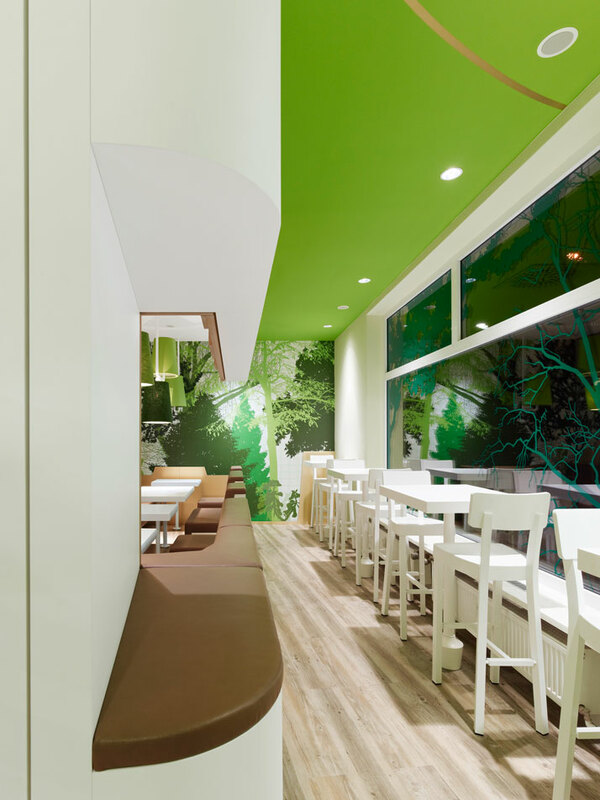 They translate Wienerwald's tradition of high quality, comfort and German cuisine into a new visual and architectural language. 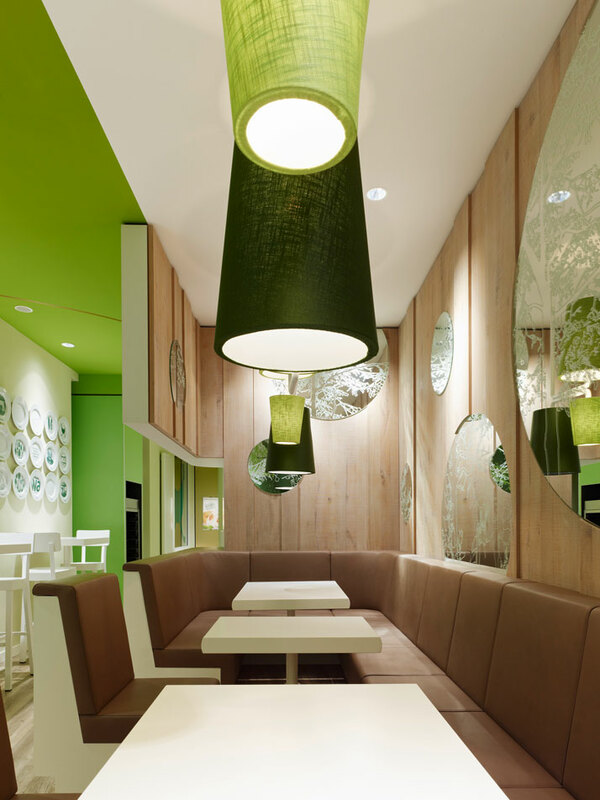 The new palette reflects the freshness of the menu as green is used to compliment the white. Gold pops out as an accent to connect memory with the golden and crisp color of chicken. Natural tones extend throughout the floor plan to ensure comfort. 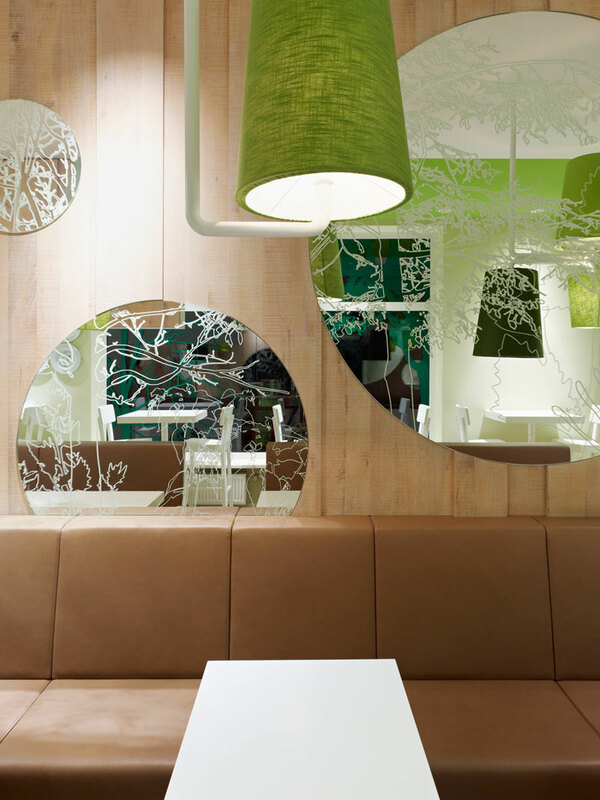 Flooring, banquette seating and dining walls soothe the interior space while green accents illustrate wall surfaces and reflect in mirrors. Although the space is small, the color palette and space layout make it feel spacious and comforting. Fun details on the floor amuse and strengthen the brands commitment to once again regain the market space it once had. 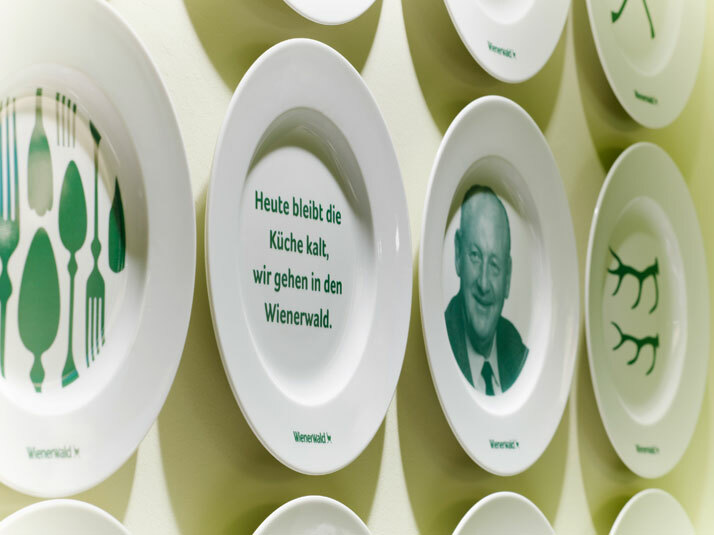 A display of dining plates on the wall is dedicated to the Wienerwald company and its long tradition, reminiscing on the history of the brand in 14 motifs. They pay tribute to Friedrich Jahn, the brand’s founding father.